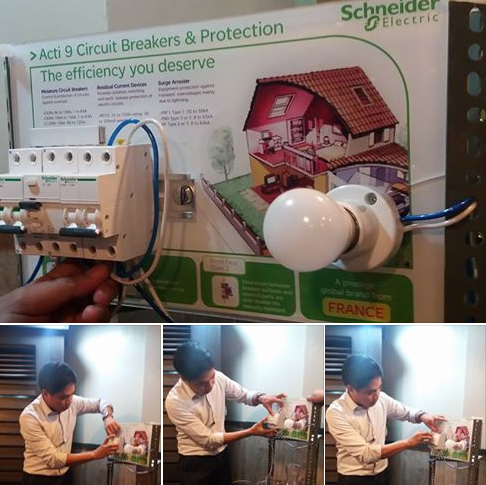 Schneider Electric Philippines launched the Bahay Safety, Buhay Safety Campaign, an advocacy to raise awareness about electrical safety at home in a media launch held in Makati. 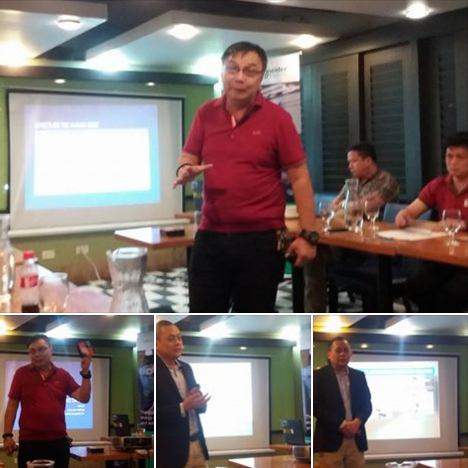 As the global specialist in energy management and automation, Schneider Electric, along with safety advocates TxtFire Philippines Inc., showed how fires, and personal injury, can be prevented simply by following simple safety precautions and investing in the right electrical fittings. TxtFire is a group of volunteers, who initially offered immediate response to reported fires within their areas of jurisdiction. But now they are more proactive in their approach by going to different provinces to educate people how they can prevent fires. Mr. Lim opened up with a primer on common electrical facts, its effects on the human body, the most common ways that we’re exposed to electrical damage or injury, and how to manage them. Most common of which is faulty electrical wiring, which can be prevented simply by ensuring that your homes wires, switches, plugs, and appliances, are well insulated and properly grounded. After the primer from Mr. Lim. Schneider Electric’s own Erwin Creencia, Retail Sales Director, showed global statistics on electricity-related injuries and fatalities at home. According to the French Ministry of Ecology, Sustainable Development, Transport and housing, 4,000 people get serious electric shocks every year in France where 100 of those incidents are fatal. More data from an independent study from GRESEL, a French voluntary research group, revealed that 40% of the incidents happen to children under 9. In the US, a 2012 study from the University of Oklahoma stated that electrocutions are the 4th most common causes of industry fatalities. Over 3,600 suffer from disabling injuries and 600 people die every year from electrocution. “Even in developed countries in Europe, a lot of homes are potentially electrically unsafe,” Creencia said. “But we can prevent the worst from happening. We just need to know more about how we can better protect our home and of course our family,” he added. 3) Safety for electrical appliances, which protects your expensive devices from malfunctions due to overvoltage. Schneider Electric has always believed that starting with the correct equipment is a crucial investment to your home and your family. For each of the three safety elements, Schneider Electric presents a solution for Bahay Safety, Buhay Safety. First, the Residual Current Devices (RCD), which automatically turns off the current when it senses a short or electric shock, preventing further injury. They also presented miniature circuit breakers, which protects against short circuits and overloads from appliances, thus preventing fires. And lastly, surge protection devices, which protect from overvoltage cause by inconsistent power currents and lightning strikes, to save your expensive appliances from damage. Schneider Electric’s solutions are perfect to help you protect your family and your home from a fire. They are compliant with the International Electrotechnical Commission or IEC standards. Electrical installations in buildings that have the IEC 60364 standard include safety protection standards against electric shock, thermal effects, overcurrent, voltage disturbances and electromagnetic disturbances. “By following a few simple safety protocols such as making sure your electrical wiring are not faulty and damaged, investing in the right equipment and ensuring their proper installation, the risks of electrical fire, damage, injury can be greatly reduced,” Creencia added. “With so much at stake—valuable property and even more so the lives of family members—no cost is too great when it comes to safety,” he concluded.